Today Nadigar Sangam Election is going on. 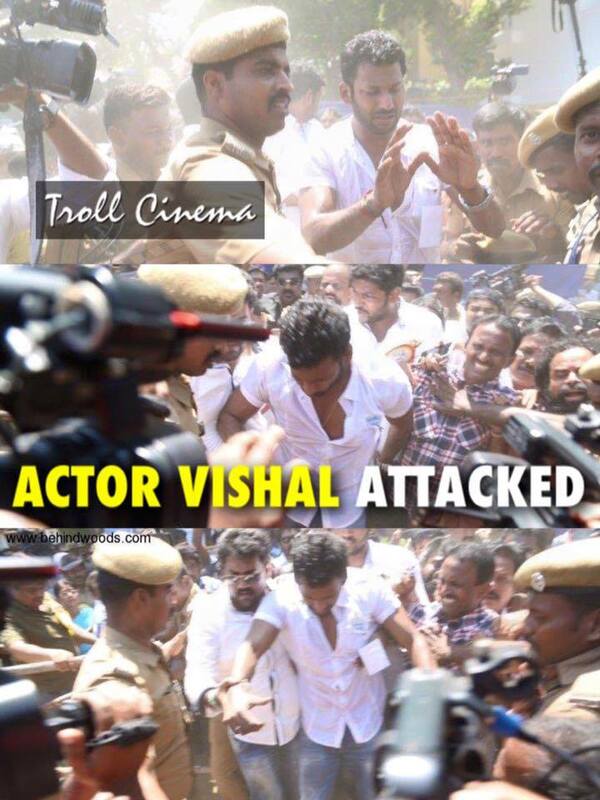 During the Election, Actor Vishal was allegedly attacked by a group of People amidst the crowd. Vishal said that he will reveal who attacked him after 5 PM. Around 240 Members have been denied the right to vote since they failed to pay the membership fee. Approximately 400 People voted so far and 3000 more are yet to vote. Vishal‬ has apparently been attacked at the venue, his left hand has been injured and he is being given treatment inside a special caravan. Prior to this, actress Sangeetha was reportedly manhandled by a mob at the venue and when Vishal came forward to intervene in this, he was attacked, it seems. We will update this Post when Vishal reveals the Guy behind it.